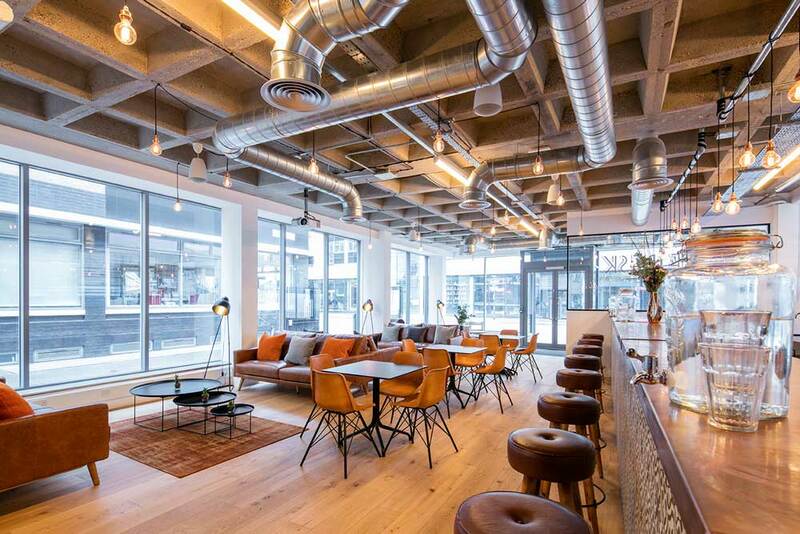 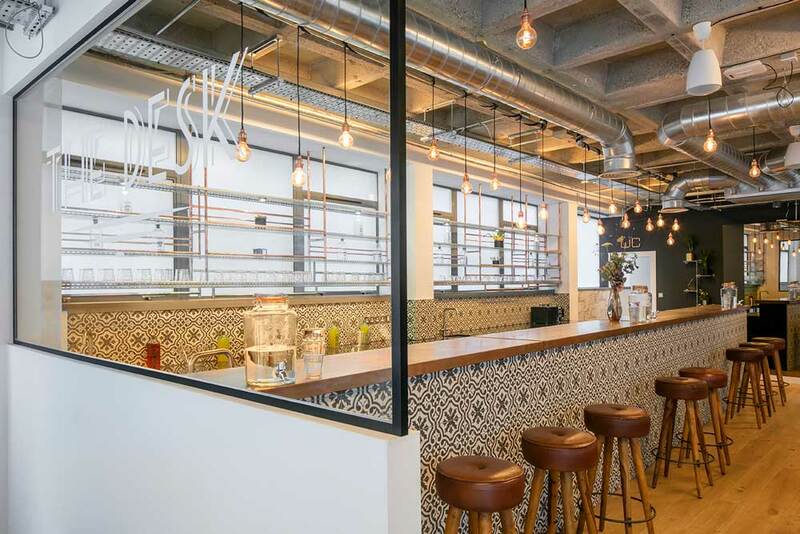 This new property recently opening by The Boutique Workplace Company represents a change in approach to the type of spaces that are supporting Boutique to develop. 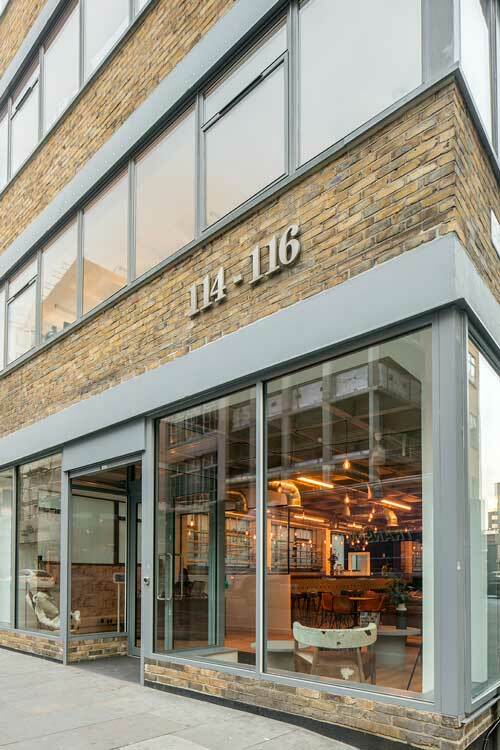 Set in a prominent location on Curtain Road Shoreditch the building hosts a funky shop window lounge area designed specifically for the building occupants. 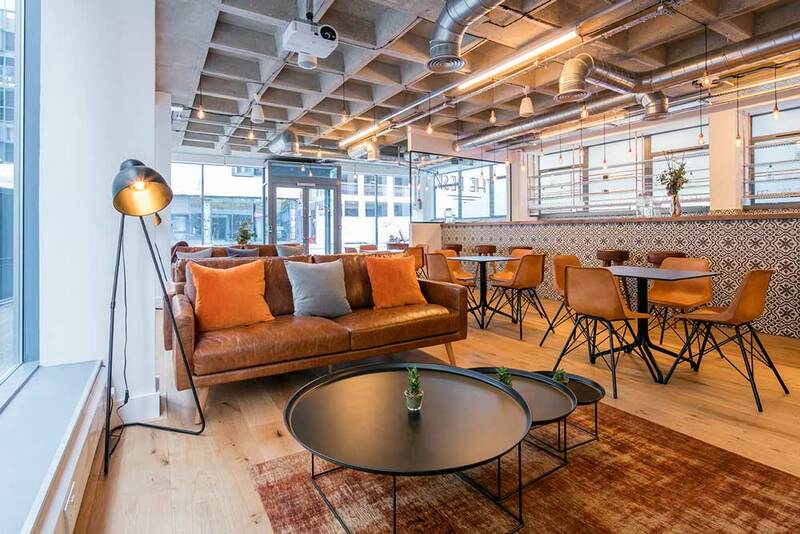 Since completing this space it is now also being used as an evening event space which is hired out to local business and represents an unexpected revenue stream for Boutique. 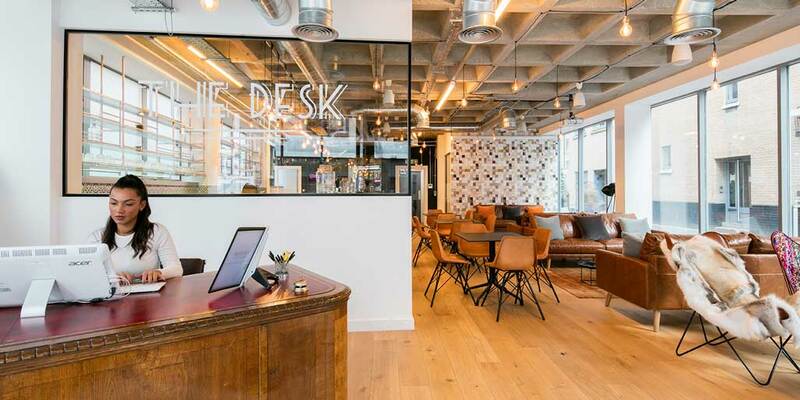 The building is fondly known as ‘The Desk’ after the landlord’s antique desk which has been refurbished and is now installed as the reception desk. 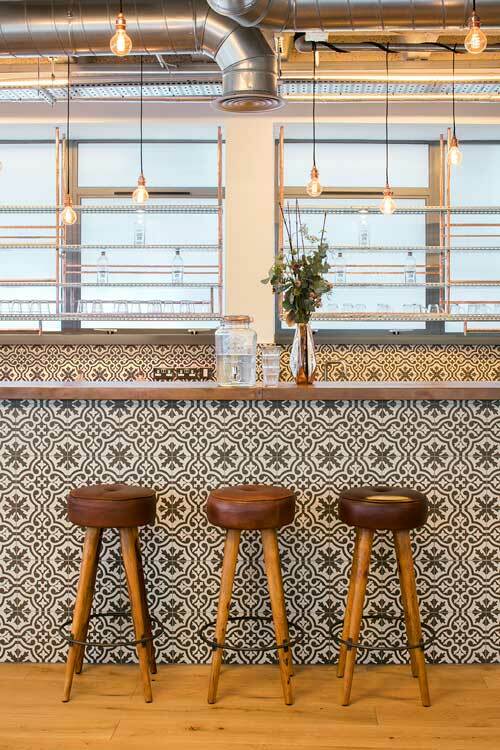 The industrial feel of the lounge is softened with the use of patterned ceramic tiles, leather and timber. 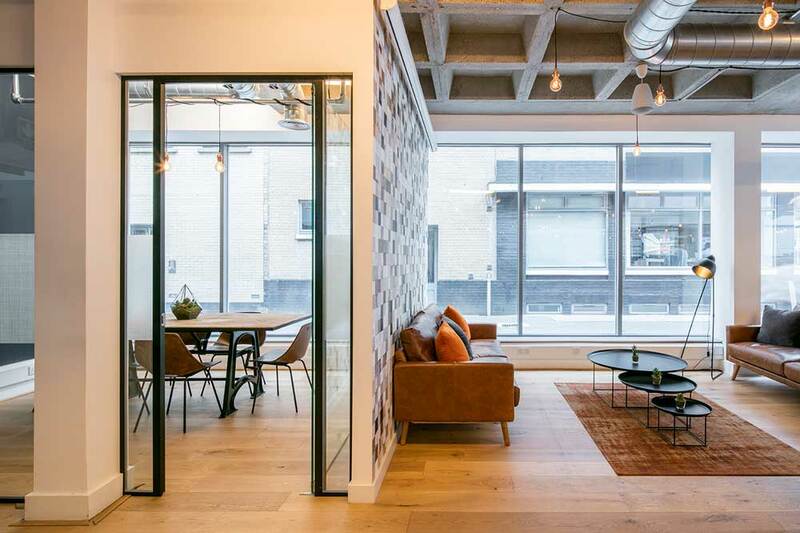 Soft drapes provide privacy to the private lounge from the street while still allowing passers glimpses of the space. 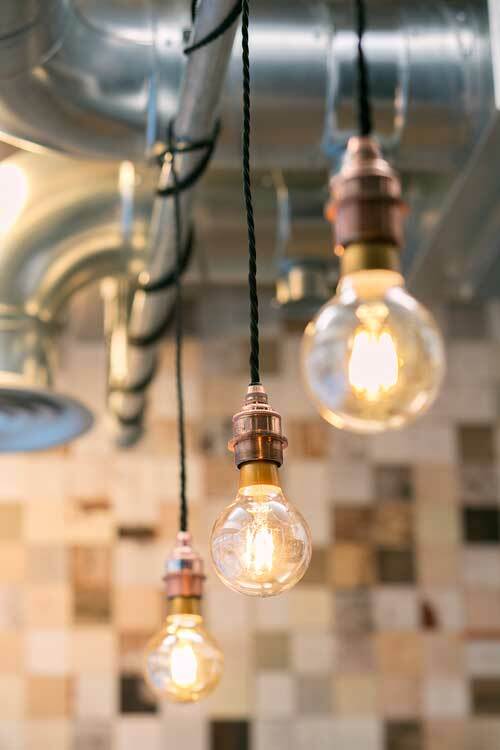 The ceiling to the lounge area has been designed to accentuate the beautiful exposed concrete coffer ceiling, with carefully installed services and a flex and copper bulb light installation which sees the flexes create shapes and patterns on the ceiling structure. 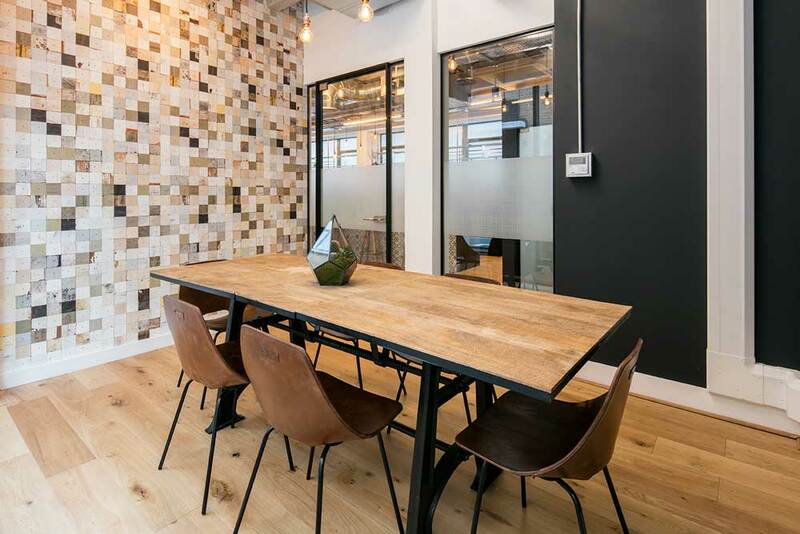 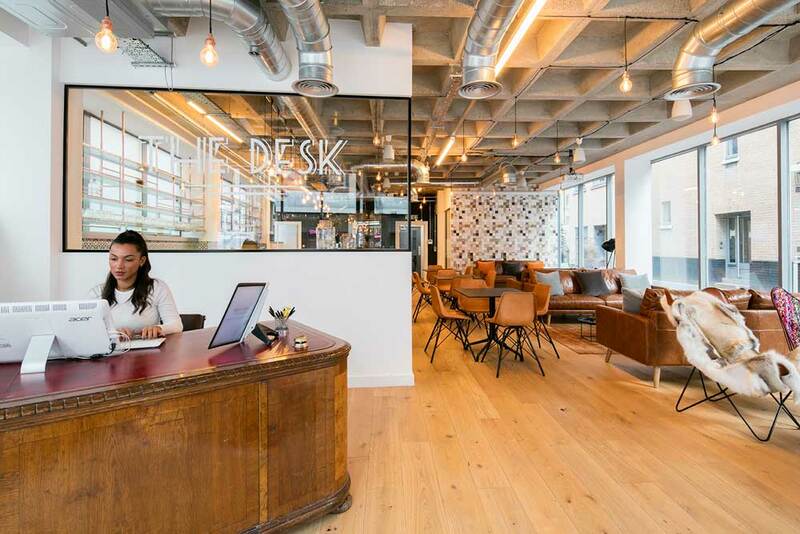 The office floors are simply designed with timber floor and feature pendant lighting with either cellular layouts for smaller companies or open floors occupied by a single tenant. 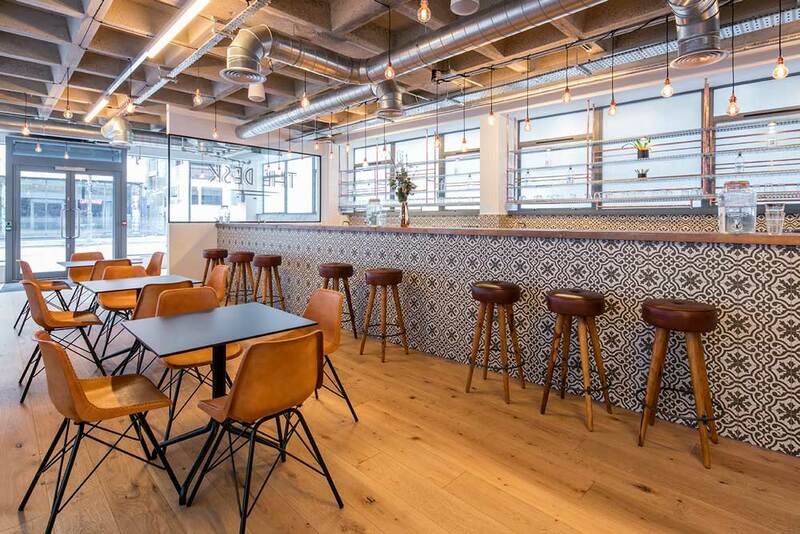 An opportunity for a roof terrace has been maximised on the upper floor creating another destination for occupants.